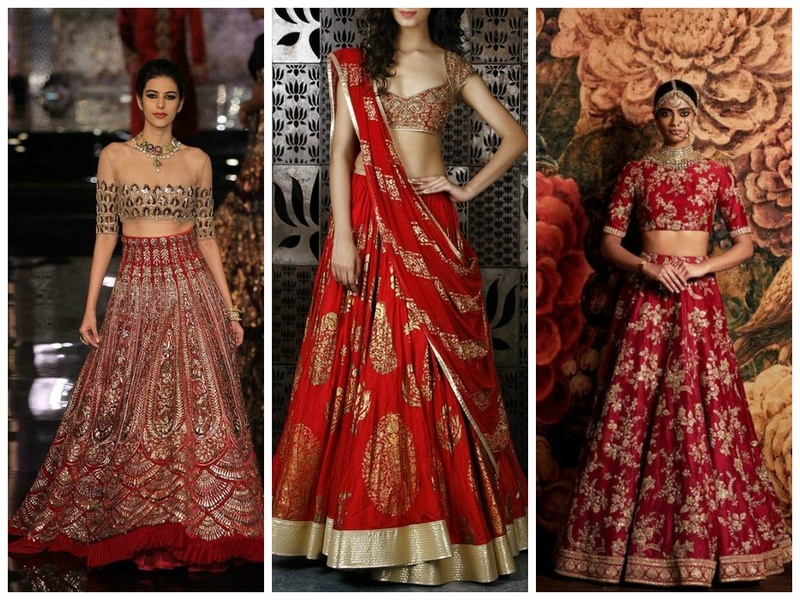 Top 10 Bridal Lehenga Designers Every City Bride Should Know! An international award winner, Ritu Kumar specialises in fusing traditional Indian handiwork with contemporary details.Her flair for elaborate and sophisticated bridal lehenga makes her one of the country’s most wanted designers. Manish Malhotra, one of Bollywood’s favourite has been the primary choice for a number of popular movies.Starting off in 1990, it didn’t take him long to make it big in the world of fashion with his traditional embroideries and lavish silhouettes. His collections comprise of rich and luxurious bridal lehenga that are worn by not just celebrities but the masses as well. The queen of bridal wear, Neeta Lulla’s versatility ranges from simple yet classy to heavily adorned extravagance. The winner of four National Film Awards specialises in designing splendid bridal lehenga outfits that could make anyone look like royalty. Tarun Tahiliani does not stray away from the rich, Indian heritage when it comes to designing bridal wear. He uses luxurious fabrics and exorbitant embellishments to deliver a vision of grandeur that is royalty-worthy. In addition to this, though he specifically uses traditional ensembles, he delivers them with European tailoring, resulting in a perfect blend of two very different techniques. Sabyasachi, a NIFTian, is one of India’s first designers who brought about a different look to an Indian saree, yet maintaining it’s culture and beauty. Moving away from pert, he specialises in couture and bridal lehenga that is exceedingly distinctive, using unusual fabrics and prints that nevertheless result in something bride-worthy and unique. This talented man is known for his intricate detailing and skilled craftsmanship.Using traditional embroideries and avoiding embellishments, he makes any ensemble gloriously come alive. He focuses on his Kashmiri traditional embroidery and luxury fabrics, giving us one of the most expensive bridal ensembles in the country. This label has been stunning the fashion for more than 25 years with their designer bridal lehenga. They are known to use soft and delicate fabric adorned with fine embroidery and detailed embelishment that makes any bride wish she could get her hands on one of those masterpieces! A member of the Fashion Design Council of India and the first global ambassador of Swarovski, JJ Valaya has been in the fashion business for over 20 years. Valaya may as well be another synonym for luxury. He specialises in using rich silks and heavy brocade to deliver a look that would make it’s wearer nothing less than a vision of grandeur and elegance. Anita Dongre, a designer with a number of design labels to her name is one of the most popular personalities in the fashion field. She is someone who inculcates new-age fashion without straying from traditional craftsmanship. Her bridal lehenga designs keep in mind the vast heritage of our country and at the same time cater to a modern, 21st century bride. The two brothers, talented as they are, did not take long to establish themselves in today’s fashion industry. Their youth-oriented designs cater to a modern clientelle, incorporating a contemporary touch to bridal wear.